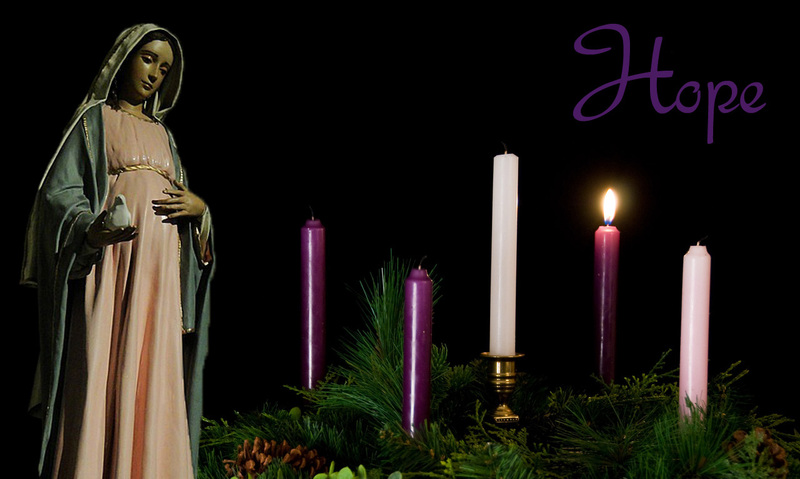 It is that time of year where we start the new church year and the first week of advent. We use this time to prepare our hearts and soul for the new born Christ. The first candle we light is for Hope. Hope is what makes us look beyond what is going on and see what can be coming. It takes away the darkness in our lives and allows that light shine before us so we can see our way out of the darkness. Hope is what we need when we feel lost and that nothing is going to change. Hope can get us out of bed and go out into the world. Hope pushes despair out and we can face the world before us. My Hope for this Advent is to come to a deeper realization of Jesus in the world and within myself. To understand the direction of my life in the will of God. I hope we all come to a better understanding of Jesus in the world and how we are to give and show others the hope we have in Jesus during this season. Let us focus more on the faith we have then the gifts that we search for each day. Until tomorrow, God Bless, and may we always have Hope in our hearts. R/ (4) Lord, make us turn to you; let us see your face and we shall be saved.